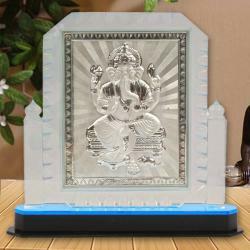 Product Consists : Acrylic Frame of Silver Plated Laxmi Ganesh. 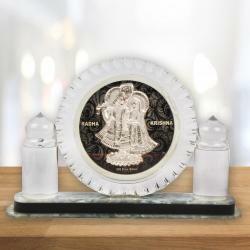 Gifting religious items on religious occasions is a treat to each and every believer. 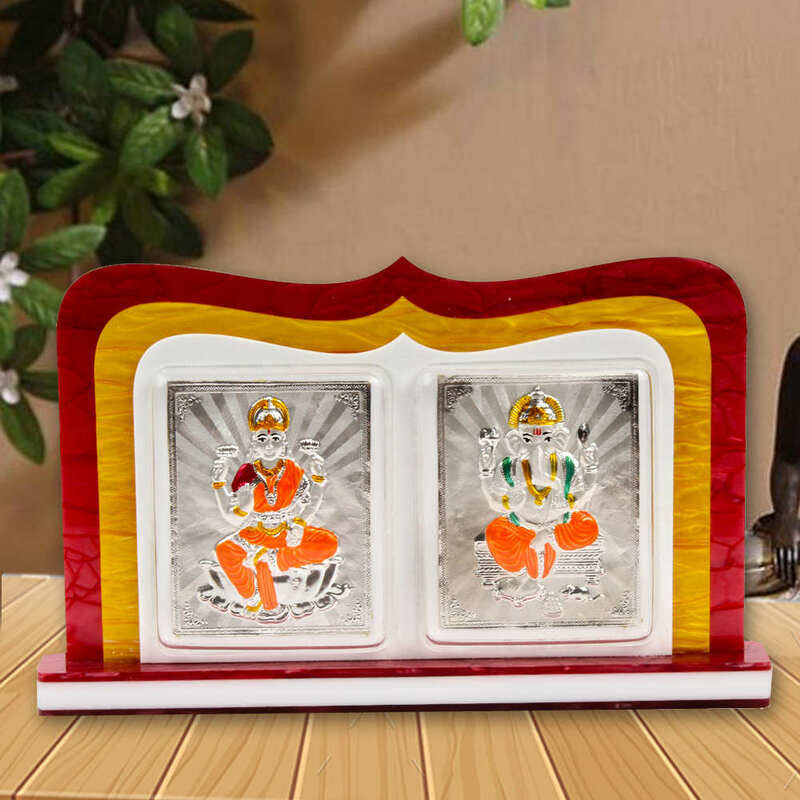 Have a look at this spectacular photo frame that is made with Acrylic border and has photos of auspicious gods and goddess of Hindu mythology. This is a perfect photo frame that will be required at the time of Diwali Puja as Lord Ganesh and Goddess Lakshmi are worshiped. This Product Item is specially available for the Diwali Festival that go along with the theme and include lovely idols of Lord Ganesh with Goddess Laxmi. 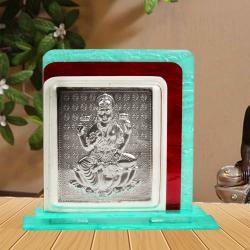 Round shaped Lakshmi Ganesh Idol photo frame with fine crafting with beautifull workmeship (Silver purity 999%). Suitable for all kinds of occasionsand for pooja and also for gifting purpose it can also be used as wall decor ,table piece,Showpiece and wall Hanging. A perfect gift for your friends and relatives who deserves the best. It has self stand it can be stood up and wall mounted . It is very Decorative and Creative and light weight. Design enriches the beauty of the product. 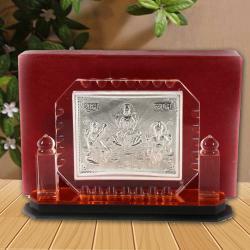 Product Includes : Acrylic Frame of Silver Plated Laxmi Ganesh.